The shape and feel of the Galaxy Note 9 make it instantly recognisable as a Samsung Galaxy Note phone. Select your desired options to find the best Samsung Galaxy Note 9 deals for you. Samsung has two market-leading handsets under their belt. The Galaxy S series and the Galaxy Note series, and the Samsung Galaxy Note 9 is the latest release from the latter. Touted as the only portable office solution you will ever need the Galaxy Note 9 purports to be capable of replacing the need to carry a laptop or tablet and is capable of presentations and more, for an office on the road. It is packed with features which also means it has an appeal to those who only use their phones for social reasons and the new kid on the block also comes with some pretty awesome pay monthly deals making this a serious upgrade option for many people. The price tag is high, but there are two options as we will discover. However the functionally and potential do justify the increase in price, bringing it in line with the latest offerings from Apple, who previously shocked the market with the cost of the iPhone X. The shape and feel of the Galaxy Note 9 make it instantly recognisable as a Samsung Galaxy Note phone. Not much has changed except that the Galaxy Note 9 is slightly shorter and fatter than its predecessor the Galaxy Note 8. It still features the now trademark infinity screen, and there is space for the all-important S-Pen which has received a massive upgrade, but more about that later. Holding the phone in your hand instantly gives you the feel of a high-end phone that is well made and sleek, definitely justifying the higher than many expected, price tag. The change of dimensions means that this is the most prominent screen display on offer from Samsung and it offers a rather impressive 6.4-inch screen. Something we have already seen from Samsung in the Super AMOLED gadgetry which is nothing if not excellent and the resolution provided is a pleasing 2960x1440 giving an impressive video playback, gaming or of course office on the go experience. The Galaxy Note 9 is indeed a looker, and many are reporting the screen quality to be the best of any other smartphone out there. 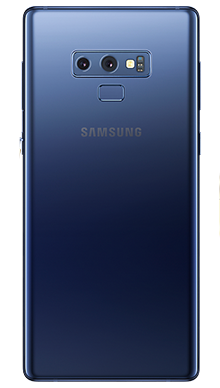 Samsung has chosen to offer this phone in several colours, mirroring the S9 phone, so you can select a lilac, blue, black or grey handset with a matching S-Pen that still sits neatly in the case as we would expect. The twist in the tale is the blue handset which does not come with a blue pen; instead, it boasts a striking, brightly coloured yellow S-Pen, because why not? The handset is still primarily made up of lots of glass which always fills us with dread when seen on such an expensive piece of kit, but that is what screen protectors and cases were invented for, and we strongly recommend the first thing you do when you unbox this impressive handset it pop it into a case. The glass screen does still suffer from fingerprint drag, but it seems that no manufacturer has managed to find a solution for that, so we have to live with it. It retains the popular IP68 water-resistance rating but do try not to drop it into water. As mentioned above the S-Pen has gone through something of a transformation so needs a section of its own to explain the new and improved technology. For this manifestation of the Galaxy Note 9 the S-Pen has been given Bluetooth connectivity. Which in a nutshell means that it has now become something of a remote control, which is another plus on the presentation giving side. It also has the ability to take a photo, negating the need for the selfie-stick and remote control, which is great for capturing those recordable moments. You can start and stop music as well as various other functions which can be changed in much the same way as you can change screen shortcut buttons. When it comes to writing the S-Pen still proves to be a valuable addition although some argue that it is not quite the writing experience of the Apple Pencil, but it certainly does what it needs to and makes using the screen a whole lot easier. If you are looking for a handy and clever trick, then remember that the off-screen memo function is really neat and means you can take notes with the screen off. When you pop the pen back into the phone the note is automatically saved which is really very clever. So, if you think you recognise the camera set up of the Galaxy Note 9, then you are not wrong. It is not the same as the Galaxy Note 8 but has instead been stolen from the Galaxy S9, and includes the repositioned finger scanner. The first of the two 12MP cameras is the variable aperture (f/1.5 + f/2.4) while the second is the longer focal length that offers 2 x optical zoom. Both lenses are stabilised, and the camera is dual aperture which means that it will automatically adjust the lens for the light conditions and offer you the best picture, making it brighter when the light is darker. The front facing camera performs as expected and is also utilised in the facial recognition software which still offers a great security feature and tends to respond well. So, as mentioned earlier the Galaxy Note 9 features the familiar security options from Samsung, offering facial recognition, fingerprint scanner which is now more naturally located under the camera and the pin number back up option. The battery has received a super upgrade and is now much more powerful than the Galaxy Note 8, giving it a great out and about life, which of course is what you need if you are using it as your mobile office. The battery is a 4000mAh battery which is an increase from the Note 8 which had a 3300mAh battery. The phone comes in two versions and the price tag changes accordingly. Firstly you can have the 128GB storage phone which features 6GB of RAM, or you can have the massive 512GB handset that features 8GB of RAM. When you take the expansion Micro SD slot into consideration which is able to expand a further 512GB, you will see that this means the larger storage handset can actually offer 1TB of storage which frankly is enough to rival many laptops. In the UK we have the proprietary Exynos 8910 processor which is different from the Qualcomm Snapdragon 845 offering in the US but a strategy that Samsung have used before and seem to stick with, making this a powerful handset that seems very fast. How that will hold up once it is loaded with apps is hard to say but time will tell, and generally, Samsung phones remain nippy even when working hard. 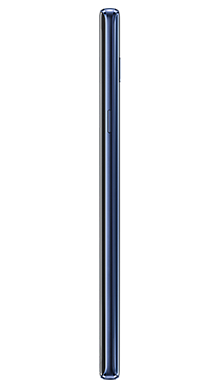 The Galaxy Note 9 might be one of the most expensive Samsung phones that we have ever seen but to be fair we also do not see phones offering 1TB of storage either. It has been designed to be a high-end professional phone and it certainly ticks all the boxes. The screen display is beautiful and features the features we have come to love and expect. Unsurprisingly it is wireless charging, and quick charge when cabled. The wireless charger still does not come as standard, but that is a minor gripe as many will be reusing the wireless charger from last time. In terms of audio, the speakers got a small upgrade as these have been relocated to offer a superior performance and can now be found in stereo, one on the bottom edge and one in the earpiece. The S-Pen can be changed in 40 seconds which is fantastic if you are on the move a lot and need that response time. Overall there are loads to love and not much to hate when it comes to the Galaxy Note 9, early signs indicate that it is going to be huge. 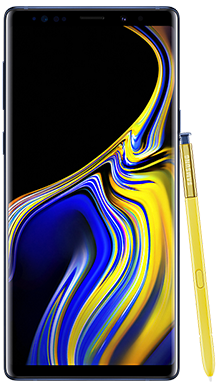 Even though the Galaxy Note 9 is the most expensive Samsung to date, at Metrofone we’ve been doing some digging to find you the best Galaxy Note 9 deals and save you as much money as possible. At Metrofone we are partnered exclusively with EE so that we know that our customers have access to the best network service and connection wherever they are. Whether you’re looking for fantastic extras, a great cash back offer or bags of data, Metrofone has you covered. A great added bonus of choosing the Galaxy Note 9 on EE is that you not only get to take advantage of incredible deals that give you unlimited minutes and texts, with loads of data, but you can also take advantage of fantastic extra perks. For example, you could choose a subscription to BT Sports to make sure you don’t miss out on all of the latest sporting action, as well as six months free Apple Music where you don’t even need to worry about paying for the data! 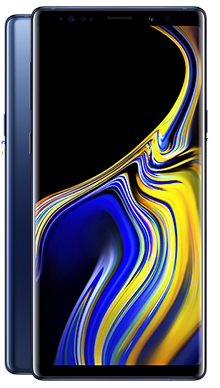 Going for the Galaxy Note 9 is a huge decision, so if you’d like to find out more about the phone, or if you’d like to find out more about a specific deal with Metrofone, then why not call one of our great customer service team today, on 0333 900 1144.